LE BOURGET, France, June 16, 2015 -- Boeing (NYSE: BA) and SMBC Aviation Capital, one of the world's largest aircraft lessors, announced an order for 10 737 MAX 8s today at the Paris Air Show. LE BOURGET, France, June 16, 2015 /PRNewswire/ -- Boeing (NYSE: BA) and SMBC Aviation Capital, one of the world's largest aircraft lessors, announced an order for 10 737 MAX 8s today at the Paris Air Show. This deal adds to a 2014 order placed by the lessor for 80 737 MAX 8s for a total of 90 on order. 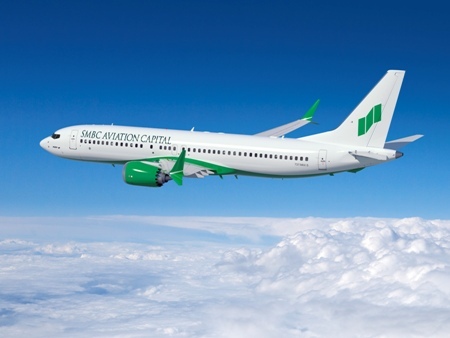 "Last year we placed the largest ever single order of 737 MAXs by a lessor, and we are pleased to be adding further to that tally today," said Peter Barrett, CEO, SMBC Aviation Capital. "This aircraft is set to play a key role in our growing business in the years to come, and we look forward to continuing our relationship with Boeing into the future." "We are very pleased that SMBC Aviation Capital ordered ten more 737 MAX 8s," said John Wojick, senior vice president, Global Sales & Marketing, Boeing Commercial Airplanes. "SMBC Aviation Capital and Boeing have a strong partnership and we know that the MAX 8, with the lowest costs in the heart of the single-aisle market, will give SMBC Aviation Capital an unbeatable product to offer its customers." Boeing has been doing business in Japan for more than 60 years, during which time it has built close and enduring partnerships with Japanese customers and industry partners. Japanese customers have purchased over 1,000 Boeing airplanes and Japan's aerospace companies make a significant contribution to all Boeing commercial airplane programs: the 737, 747-8, 777 and 787, and now the 737 MAX and 777X.